Our philosophy fully embraces the feminine form throughout our collections, beautiful hand painted prints that weave magical stories into hyper contemporary & striking designs. Evoking a sense of freedom & pleasure. 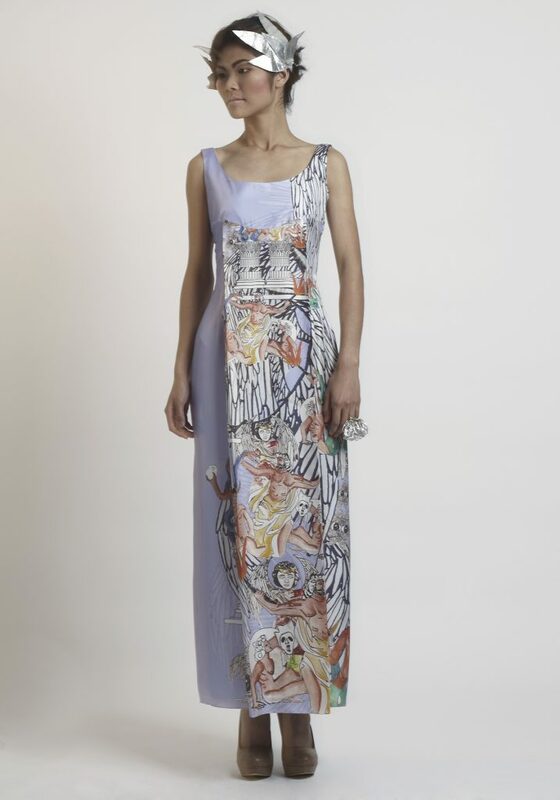 The collections are inspired by natural forms, ancient legends and myths, then implemented with a theatrical panache and Illustrative prints. At the heart of the brand is the notion to inspire & support women of all ages to feel empowered at every occasion. We are proud to say our collections are produced at a luxury standard, made ethically & sustainably in the UK. 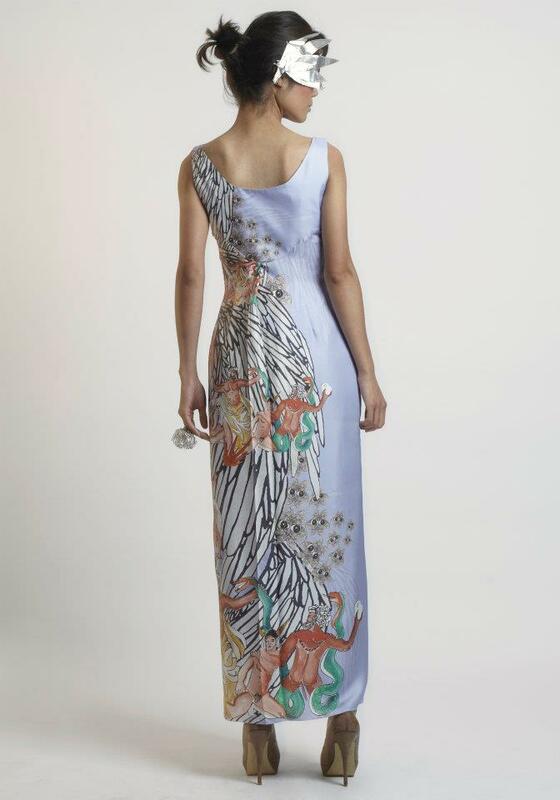 Inspired by the great and many stories of Greek mythology, which inform this collection of print & clothing. In the drawings we see a repeating scene of the Greek Gods, conflicted by one another’s divergent wishes. Hermes the winged God is considered a God of transition and boundaries. He informs the Greek Gods as we look up at the print, that such lower forms of ego will not be permitted to enter Mount Olympus. The owl characters are influenced by Hermes and try to persuade the Gods to find the light. 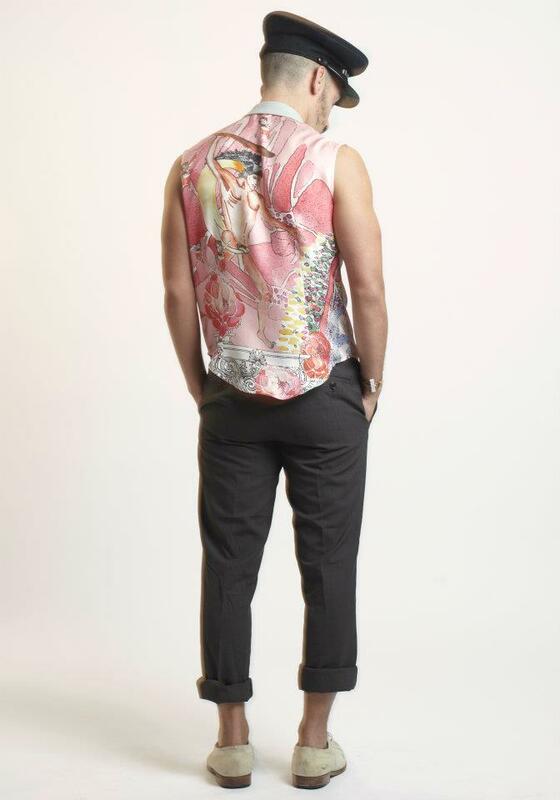 The prints and the garments honour Athena, the Goddess of war and wisdom.